This quilt shows Santa in various monthly scenes. 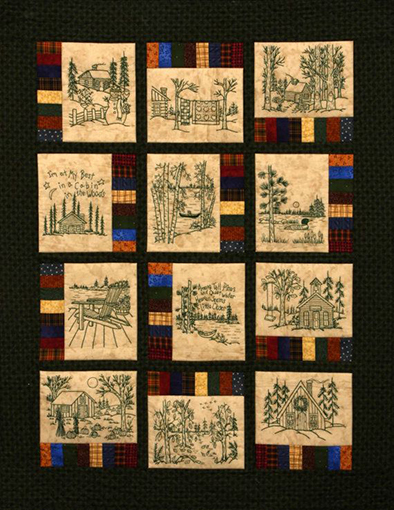 The blocks are 16 1/2″ square and will make a lap quilt sized 64″x84″. 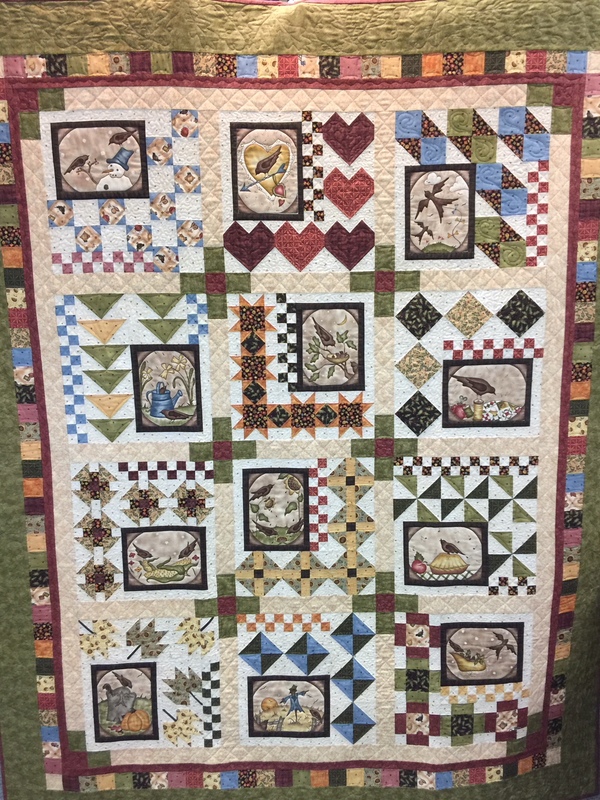 This quilt can be made larger with borders.